Each year The New York Nine is proud to run our acclaimed Winter Workout/Tryout. The Winter Workout/Tryout is designed to improve an athlete’s skills and prepare them for the upcoming season. Our premium instructors will run innovative drills which set and build upon the baseball foundation all athletes need to succeed. We will work in small group settings on offense, defense, pitching, catching and game approach. Because we believe that conditioning is a vital part of baseball, our workout contains a quality dynamic warm up, cool down, stretching and individual athlete care. All potential New York Nine members will have the opportunity to showcase their tools, skills, desire to play the game and work ethic throughout the workout. Athletes will be analyzed by MLB scouts, front office personnel and college head coaches. Any athlete age 8 and up is eligible to join us at the Winter Workout/Tryout and improve their skills even if they are not a member of the New York Nine or are not interested in trying out. Registration is limited so sign up today! To reserve your space at the workout, fill out the form below and follow directions for payment. 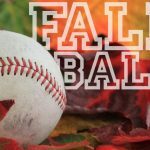 The Fall schedules are now posted. Please clink the links below for your team schedule. The New York Nine takes a very specific approach when it comes to our fall baseball program. We believe the fall is a time for player development and an extra focus on academic success. We want players to learn both the skills needed to successfully play baseball and perform at showcases as they get older. We also know that without solid grades, athletic options become limited. Our development process is focused on creating a pro-style learning environment for our players. This setting allows our coaches to help refine baseball skills specific to each individual player to help maximize every player’s abilities. Beyond skill-specific practice sessions, our athletes will participate in doubleheaders to continue learning how to translate their continuously refined skillsets into competition. We are firm believers in the importance of education and achieving high scholastic marks possible, so we do not mandate any midweek activity in the fall, which allows our student-athletes to focus on their studies. We understand the importance of athleticism and participation in other fall sports, especially at the younger ages, and we encourage student-athletes to participate in other activities. As long as there is communication between player and the coach/organization there are no issues with multi-sport athletes in the fall. 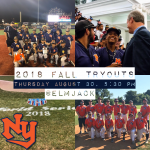 The 2nd tryout for the 2018 New York Nine Fall baseball season will take place on August 30th at Elmjack located at 78-01 19th Rd, East Elmhurst, NY 11370 at 5:30 pm. If you attended the try out on August 18th, please do not attend this tryout. We are looking for serious, committed ball players and families who understand the time commitment involved in developing elite level young men who happen to be good ball players. 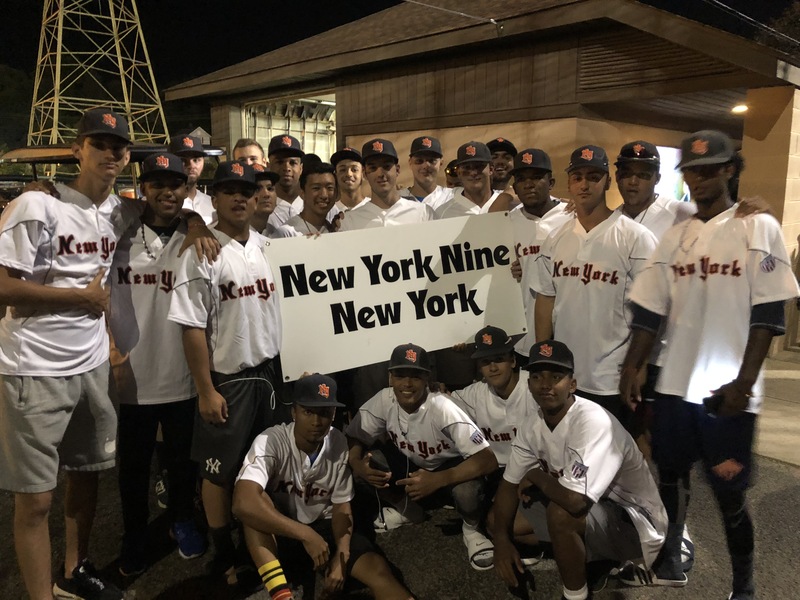 If you feel that you possess or project to have an elite level of athletic talent, are a solid student and are looking for premium instruction and mentors, then the New York Nine is looking for you! 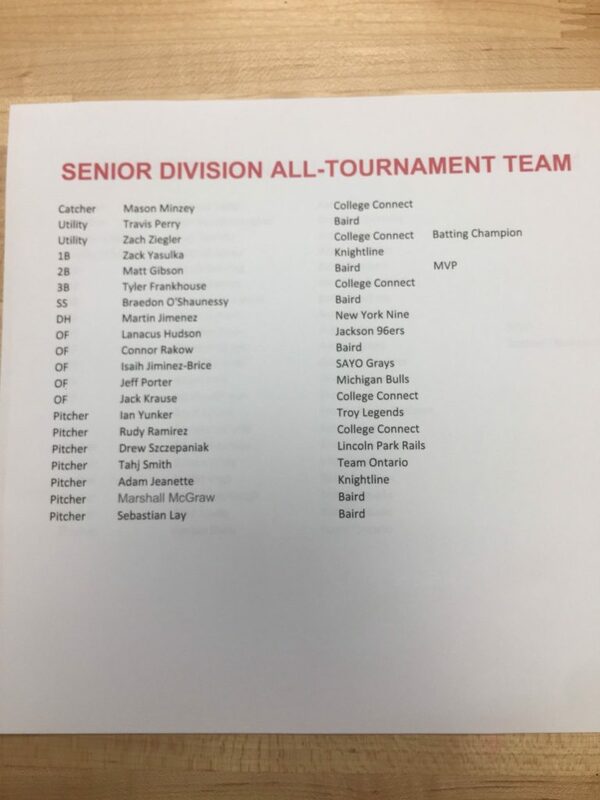 100 percent of graduating seniors have been placed on collegiate baseball rosters with varying levels of aid. Very few programs have had the track record of the Nine with over 50 professional draft picks and free agent signs and hundreds of collegiate scholarship athletes in just over a decade. As always, there is no to fee to try out. Report time will be 5:30 pm at the field the day of the tryout. 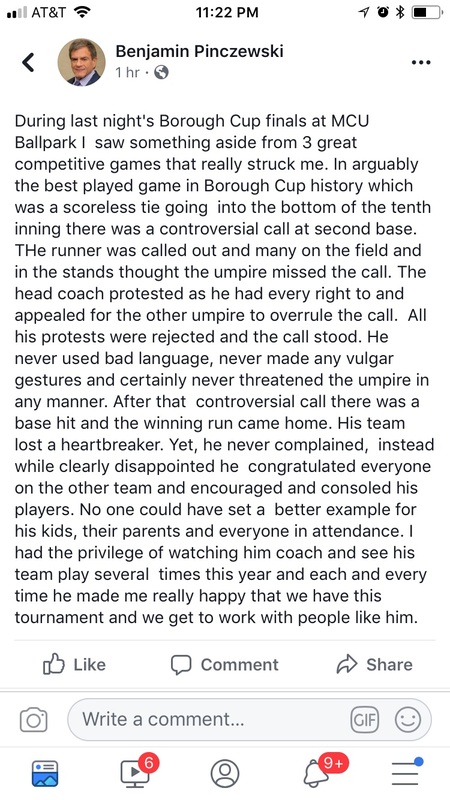 As a fitting culmination of what has been a dominant inaugural season for the New York Nine Cubs at 11u, the Borough Cup presented one of their toughest challenges yet. 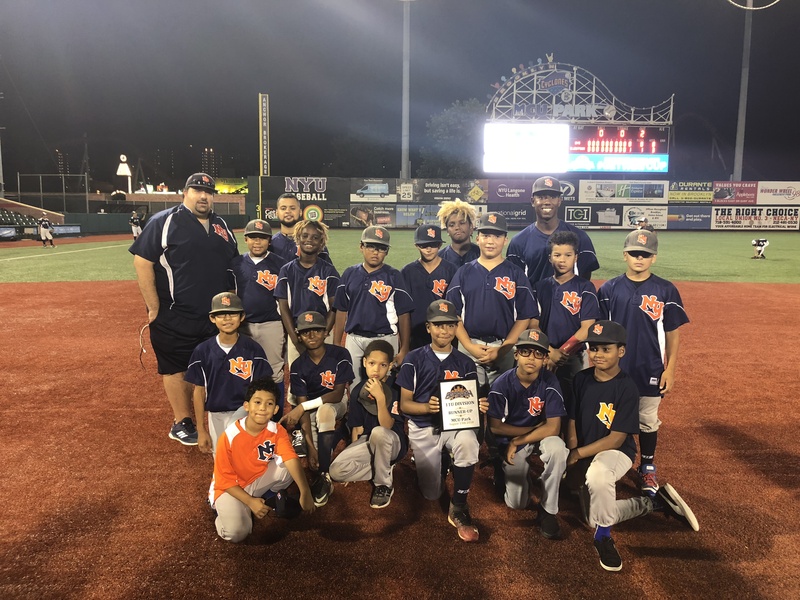 With Nine Alum, Juan Miguel Torres at the helm and supported by coaches Ralphy Estrella and Antonio Bausone, the Cubs embarked on a difficult quest to play for the Borough Cup Championship at MCU Park in Brooklyn, home of the Cyclones. Game 1 of the Borough Cup saw the New York Nine square off against the Brooklyn Bandits at HBQVB on July 28th. Miguel Sime was outstanding, striking out 13 in 6 no hit, no run innings. The Nine continuously put guys on in every inning but couldn’t get the key hit. They couldn’t, up until the 5th inning. Gio Bausone singled with one out and then immediately stole 2nd. Parker Tse hit a line drive single to right, advancing Bausone to 3rd. After a steal of 2nd by Tse and then a strikeout swinging for the 2nd out, the Nine pulled off a double steal of home with Bausone scoring on the play and Parker stealing 3rd. Jake Alfano would then single home Tse on an 0-2 count giving the Nine a 2-0 lead that they would not relinquish giving them their first win in the Borough Cup qualifying round. Game 2 vs the Forest Hills Bombers was a tight affair with scoring starting in the top of the 1st. Forest Hills opened the game, walk, steal, single, steal, walk, RBI walk before Parker Tse settled down and retired the next three batters without any additional damage. The bottom of the 1st saw the Nine respond immediately with Quincy Bright drawing a walk before stealing 2nd and 3rd. Jose Reyes then singled him home. Forest Hills would score again in the 2nd inning. With 1 out, they reached on error and then stole a base, before flaring a ball into center with 2 outs that scored a run to make it 2-1. In the bottom of the 2nd, the Nine threatened with Josh Huerta reaching on an error, Jesse Oyala walking and Parker Tse walking to load the bases with 2 outs. But the Nine could not punch the run home when Kai McCoy popped out to 2nd base to end the threat. In the bottom of the 3rd with 1 out, Jose Reyes hit a line drive single to right and then immediately stole 2nd base. Anthony De Leon followed that up with a game tying line drive single to center. Miguel Sime hit a hard grounder to short scoring De Leon putting the Nine up 3-2. The top of the 4th saw the Bombers tie the score when they opened the inning against Oyala with a ground ball single to shortstop, followed by a walk, a walk and a run scoring HBP. Oyala got out the inning without further damage by getting a quick 3 pitch strikeout and then induced a double play. . The bottom of the 4th saw the Nine leave Oyala and Tse on the bathpaths after they walked and singled, respectively. The top of the 5th saw the Bombers put some guys on base but the rally was ended when De Leon impressively picked a runner of 3rd to end the threat. The bottom of the 5th saw Jose Reyes single, steal 2nd followed by De Leon and Sime walks to load the bases. Unfortunately, the rally ended there as did the game in a 3-3 tie. The final game of pool play for the Borough Cup saw the Nine play Elmjack. The first 4 innings pitchers dominated and the score was 0-0. The top of the 5th opened with a Quincy Bright fly ball double to left. Bright quickly stole 3rd and scored on a Jose Reyes ground out putting the Nine up 1-0. In the top of the 6th, Oyala drew a one out walk and then promptly stole 2nd and 3rd. After a strikeout, Kai McCoy smoked a grounder through the left side scoring Oyala to put the Nine up 2-0. After a 5 inning, 5 strikeout, 1 hit, 0 run performance by Jesse Oyala, Jose Reyes came in and struck out the side to end the game, win the pool and secure the 4th overall seed. In the first playoff game vs Elmjack, the Nine got out to a quick lead in the bottom of the first. Quincy Bright singled on a ground ball to right and then stole 2nd and 3rd. With 2 outs, Anthony De Leon singled him home to put the Nine up 1-0. In the top of the 2nd, Elmjack tied the score at 1 with a 2 out bases loaded infield RBI single to 3rd. In the bottom of the 2nd, Kai McCoy lined a single to center and then stole 2nd. With 2 outs, Quincy Bright laced a single to center scoring McCoy. After 2 more scoreless innings, Miguel Sime led off the 4th with a single. He then swiped 2nd and 3rd and scored the 3rd run of the game via error by the opposing catcher. In the same inning, with 2 outs, Jesse Oyala doubled on a line drive to right and with Parker Tse up, Oyala stole 3rd and in a daring move, stole home, giving the Nine their 4th and final run of the game. Elmjack scored a 2 out run in the top of the 6th, but it was too little and too late, giving the Nine a 4-2 win and moving on to the Semi-Finals. In the Semi-Finals, the Nine played the Staten Island Vikings. Miguel Sime struck out eight of the first nine batters he faced. The scoring opened for the Nine in the top of the 4th when Jose Reyes hit an inside the park home run on a line drive to right field putting the Nine up 1-0. The bottom of the 4th saw Sime get into a little bit of trouble with 2 walks and a single, but he got through it striking out 3 opposing hitters without allowing a run. Jesse Oyala had a 2 out single to left in the top of the 5th. He stole 2nd on a 1-1 count before scoring on a Parker Tse ground ball single up the middle to put the Nine up 2-0. Sime started the top of the 5th, but got into trouble after a strikeout by waking back to back batters. The Nine went to Jose Reyes to stem the tide, but after an RBI ground out, the Vikings hit a 2 out ground ball single to center to tie the game at 2. Neither team scored in the 6th and the game went into extra innings. Anthony De Leon led off the 7th with a line drive single bringing up Miguel Sime. Sime took the first pitch and hit a monster shot well beyond the left field fence to give the Nine the 4-2 lead. Not content, Giovanni Bausone singled to center, stole 2nd and 3rd and scored on a Parker Tse line drive single to right. Tse stole 2nd on the first pitch and on a 2-2 count, Kai McCoy singled in Tse on a line drive single to left. The Vikings would not go down without a fight. The first batter of the inning took some close pitches and walked on a full count. 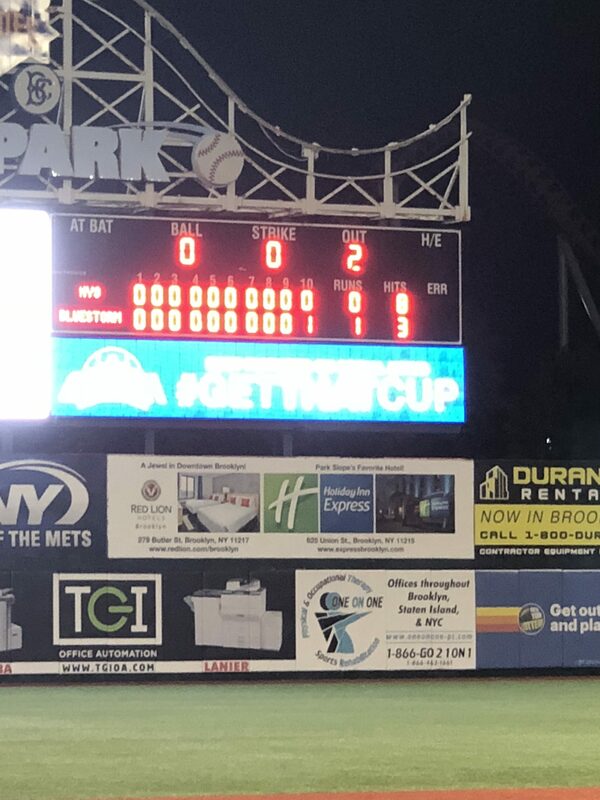 Reyes then struck out the 2nd and 3rd batter on 3 pitches each, putting the Nine one out away from a date at MCU Park and the Borough Cup Finals. The next batter again battled to 3-2 before walking, giving the Vikings 1st and 2nd with 2 out. They would get a quick single to load the bases before flying out to center to end the game. Miguel Sime fanned 12 in 4.2 innings and blasted a mammoth 2 run home run in extras advancing the Cubs to MCU. 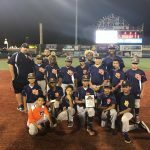 After a rainout on the original date, the team came to the Finals ready to play vs Brooklyn Blue Storm at MCU Park, home of the New York Mets single A affiliate, Brooklyn Cyclones. The game, originally slated to start at 6, was delayed by an hour and a half for rain. This didn’t matter to starter Miguel Sime, who came out firing wowing many in attendance including former Met closer John Franco. and wowed everyone. Sime’s only blemish in six frames was a single walk. Of the 18 batters he retired, an amazing 14 fanned in the dominant performance. Offensively, the Nine got multiple runners on but struggled to bring them home. The best opportunity to score runs came in the top of the 2nd when Miguel Sime led off with a single and stole 2nd base. Gio Bausone lined a single into center where Sime was thrown out at home plate. On the same play, Bausone was trying to advance to 3rd on the throw, but was narrowly tagged out for the double play. In the top of the 4th with 2 outs, Anthony De Leon singled on a fly ball to center and advanced to 2nd on an error. Miguel Sime followed that up with a single to 3rd, giving the Nine 1st and 3rd with 2 outs, but Bausone struck out swinging. Both pitchers pitched well, giving each other nothing until the top of the 10th when Aidan Colasante led off with a line drive single to left and then stole 2nd. De Leon advanced him to 3rd on a ground out to 2nd. Miguel Sime gets intentionally walked and steals 2nd on a 1-2 count. After a Bausone strikeout, Ayala walked giving the Nine the bases juiced with 2 outs. On an 0-2 count, on the throw back to the pitcher, Colasante tried to steal home and the run, but was tagged out by an alert pitcher and catcher, ending the threat. In the bottom of the 10th, with 1 out, Brooklyn singled on a line drive to right field and Sime tried to throw the batter out at 1st, but the ball skipped past the 1B right to the De Leon who was backing up the throw. The runner took off to 2nd and De Leon threw it to the SS who tagged the runner for the out, except the umpire ruled the runner’s hand got around the tag and to the base, thus ruling him safe and giving the Blue Storm a man on 2nd with 1 out. The next batter grounded out to 1st moving the runner to 3rd leaving the winning on 3rd with 2 outs. Oyala got the count to 1-2 when he threw a fastball up above the letters and he hit a ground ball to center field pushing the winning run across and ending the Championship hopes for the Nine. We couldn’t be prouder of how our coaches and players handle themselves on and off the field. Along with all graduating seniors continuing their playing careers at institutions of higher learning, the 2018 New York Nine Scout Team highlighted their summer season with a national final four finish at the NABF World Series. Freddy Rojas, Jr. hit all summer long with solid power and a sound approach. He finished hitting a very strong .424/.545/.610. Catcher Teo Estevez just consistently got on base all season, leading to a .515 OBP with a .396 batting average. Jesse Spellman came on strong the second half of the season with an 18 game on base streak and hit .303/.538/.515 over that span. On the season he finished with a .487 OBP and 21 walks. John Garcia showed off the power potential in his bat this summer with 10 doubles. In an inauspicious way to climb the Nine leaderboard, JP Compres led the way with 10 HBP. John Garcia was hit by 7 pitches and Jesse Spellman was hit 6. In only 37 plate appearances, Jeissy De La Cruz wore it 5 times. Once again, the Nine boasted a deep pitching staff that always gave the team a chance to win. Alejandro Soler was astoundingly consistent posting a 0.58 ERA in 24.1 innings. He was poised to reach the required 25 inning mark, standing on the mound at Beach Channel HS in the 8th inning as the skies opened up, halting the game. We have chosen to recognize this amazing accomplishment, however marking it with an *. Five Nine hurlers struck out over a batter per inning, Dimitri Papazoglou struck out 35 guys in 25 innings, Bryce Martino struck out 33 guys in 26 innings (with a strong 1.89 ERA), Joe Wozny struck out 31 in 29.2 innings, DJ Flug struck out 30 in 25.1 and Olvis Genao struck out 30 in 17 innings for a 39% strikeout rate. After a rain delay forced this to be a grueling one day event, the Nine trekked back to Baseball Heaven knowing that they a had long day ahead. Although the team started the day a bit slow, the Nine battled all game. Mano Boutsikakis smashed a double with two walks and JA Spanoudakis and Alex Bardi each had hard hit singles and a walk. Alex Bardi kept the Bandits off balance all game and finished with a complete game shut out. The Nine, unfortunately, couldn’t sequence together their hits and failed to score a run, settling for a 0-0 tie. After a tie in the first game, the Nine bats came alive early as they jumped out to a quick 4-0 lead against the Hudson Valley Renegades and never looked back. George Kyriakopoulos had two doubles, two RBI and two runs scored, Sabin Ghale also had two RBI, while Mano Boutsikakis went 3-3 with 3 SBs and one run scored. Sebastian Granobles pitched the 2nd complete game of the day, leading the Nine to a 5-3 victory. With a chance to play in the championship, the Nine sent Micah Garrett to the mound and he didn’t disappoint. Garrett allowed no hits and no earned runs in his 4 innings pitched while also helping his own cause with a two RBI triple. Johan Franco came on to slam the door shut and send the Nine to a 2-1 victory over Team Steel and a spot in the championship. After a grueling three games, the fourth in a row proved to be too much as the Nine ran out of gas and fell to a tough Levittown American Adrenaline team. The Nine’s runner up finish was quite admirable as they completed a long, hard fought day and left everything they had out on the field. 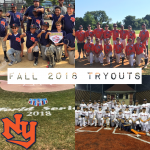 Tryouts for the 2018 New York Nine Fall baseball season will take place on August 18th at HBQVB’s Padavan/Preller fields located at 236-01 Hillside Avenue at 10 am. As always, there is never a fee to try out. Report time will be 9:45am if you register below and 9:30 am to register at the field the day of the tryout. 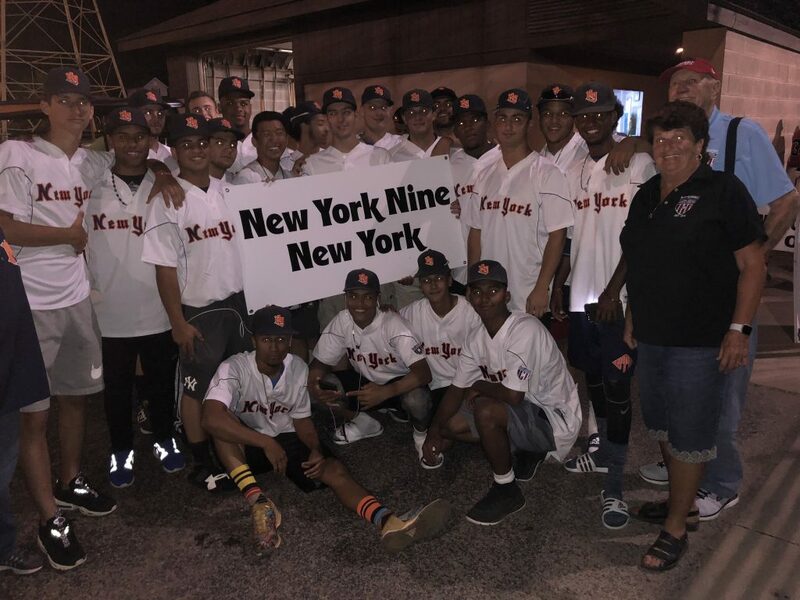 For the first time since 2008 in Jackson, Mississippi the New York Nine Scout Team appeared at the NABF Senior Division World Series. 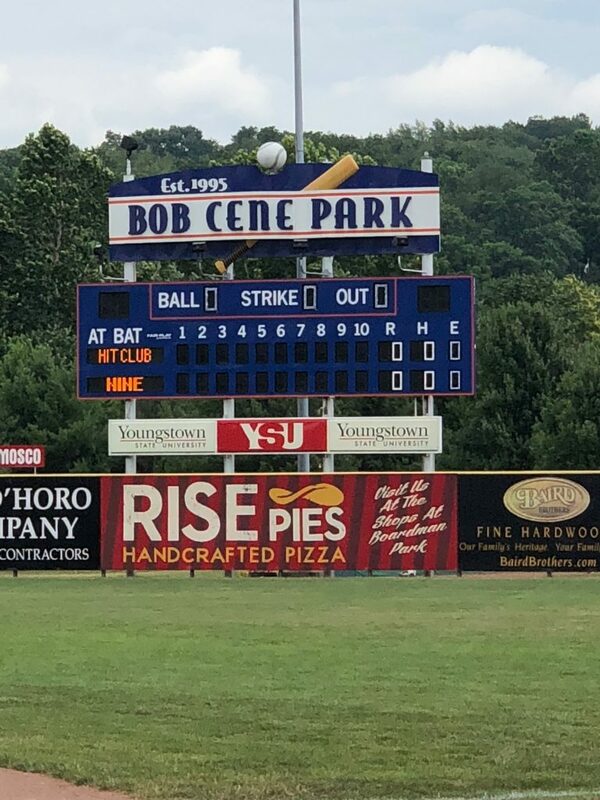 This year’s sixteen team event was held in Struthers, Ohio at the beautiful Bob Cene Park. The 2008 club made a run all the way to the Semi-Final game, losing a heartbreaking 1-0 decision on a throwing error. The 2018 iteration that hoped to claim the first national title for the Nine boasts solid pitching and defense and a very capable but boom or bust offense. The first game of the tournament saw the Nine play College Connect, out of Michigan. The Nine struggled to get going offensively as their offense was completely stifled by a legitimate knuckleballer with a mid 80s fastball and pinpoint control. With the aid of some defensive miscues, Connect posted a six run second inning and cruised to a 7-0 victory. The 2nd game of the day saw the Nine playing the Ohio Longhorns. The Longhorns opened the scoring in the 2nd inning by plating 4 runs. In the bottom of the 3rd, the Nine scored 2 runs on a Jean Carlos Morillo walk, a Freddy Rojas, Jr. RBI double and a Chris Mondesi, Jr. RBI double. Joe Wozny, who came in in the 3rd inning, shut down Ohio giving the Nine the chance to come back and win the game. With two outs in the bottom of the 6th inning, Jesse Spellman and Joe Caba singled pushing pinch runner Tommy Tavarez to 3rd. JP Compres delivered the 2 out RBI single to cut the Ohio lead to 4-3. Wozny continued his dominant pitching and threw a clean top of the 7th with 2 strikeouts to give the Nine a shot to win. Pinch hitter John Garcia opened the inning by singling up the middle then Freddy Rojas, Jr. roped a single to center putting runners on first and second with no outs setting the stage for Chris Mondesi, Jr. Mondesi hit a line drive to the opposite field that got past the right fielder scoring Garcia with Rojas, Jr. racing home behind him to give the Nine their first win of the tournament. The next day saw the Nine play the West New York Tigers under the lights in prime time. The Nine manufactured the first run with a Jeissy De La Cruz walk, stolen base and scoring on a wild pitch. In the 2nd, the Nine again took advantage of a defensive miscue when Joe Caba scored on an error. West New York got to Bryce Martino in the 4th inning when a few ground balls got through the infield after a Nine error. With 2 runs in and men on 1st and 3rd, JP Compres came in and threw three straight fastballs, each at or near 90 mph, to shut the door on the rally. The Nine came out in the bottom of the 4th and started to put the game away. Showing plate discipline, Nine hitters walked three times in the inning and Wilmer Polanco hit a 2 RBI double. The bottom of the 5th saw more of the same from the Nine. Nazir Mendez singled, Teo Estevez was hit by a pitch and Joe Caba singled to load the bases. Phil Li walked in a run and Estevez and Caba scored on wild pitches to make the score 8-2. The game ended when catcher, John Garcia threw an absolute seed to 2nd base to pick off a runner. The Nine struck out 10 Tigers, including 6 from Martino and 3 from Alejandro Soler. The final day of pool play saw the Nine controlling their playoff seeding. With a win vs Diamond Hit Club, the Scout team would advance. In a game being broadcast live, The Nine opened scoring in the bottom of the first with De La Cruz hit by a pitch Martin Jimenez doubling him home on a long fly ball to center field. In the 3rd inning, De La Cruz hit a triple on a fly ball to right field and scored on an error by the SS. Jimenez also singled in the inning. In the 3rd inning, Freddy Rojas, Jr. singled home JP Compres, who singled earlier, on a fly ball to left field. In the 4th inning, the Nine once again plated a run when Jimenez singled to lead off the inning, followed by a Spellman walk and a Morillo RBI single. In the top of the 6th the Hit Club opened with a single and a FC error. Starter Jon Allcock was stellar through five plus strong innings. After a CS, a ground out, an RBI ground ball single to right and a walk, JP Compres came in to pitch with the score 4-1. Compres allowed a ground ball single to center and a walk to make it 4-3. With the bases loaded and the count 3-2 count, Compres induced a fly out to end the inning. Compres came back out for the 7th, striking out 2 and not allowing a baserunner, advancing the Nine to the playoffs. 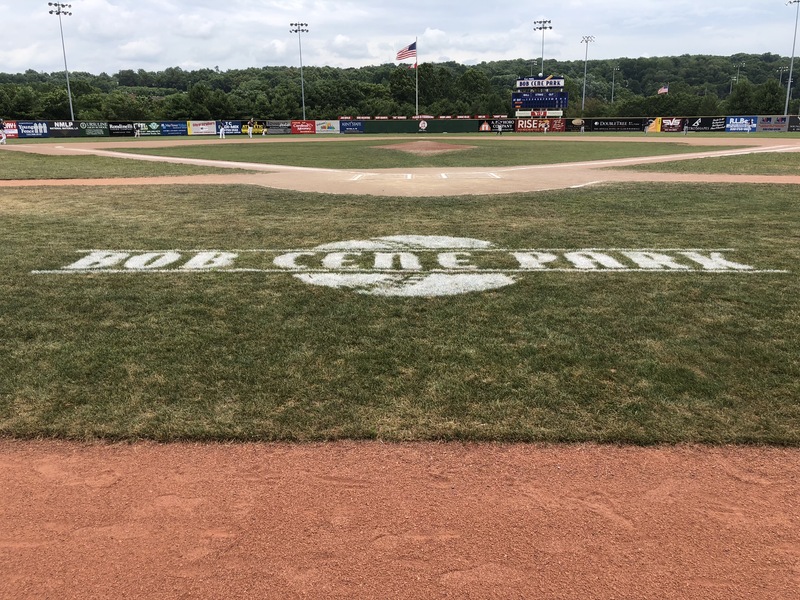 The Quarter-Finals of the NABF World Series saw the Nine face off against Troy Post 43 Legends, from Ohio. In another live broadcast, The Nine started off the scoring in the bottom of the 1st. Freddy Rojas, Jr. singled to center field, followed by a Chris Mondesi, Jr. RBI double to left. Martin Jimenez immediately hit a line drive single to left to bring in Mondesi, Jr. Wilmer Polanco led off the 2nd with a triple to center, followed by a Jeissy De La Cruz RBI line drive single to center. De La Cruz stole 2nd and advanced to 3rd on a wild pitch during Rojas, Jr. at bat, who then walked. Mondesi, Jr. followed with a walk during which Rojas, Jr. stole 2nd and De La Cruz scored on a wild pitch. Jimenez made it 5-0 with an RBI single to left that scored Rojas, Jr. After a sac bunt, Mondesi, Jr. scored on a passed ball and John Garcia drove in Jimenez with a ground ball single to left. In the top of the 3rd, Troy scored on a wild pitch with 2 outs. The Nine capped off their scoring in the bottom of the 4th after Jimenez opened the inning with a walk, followed by a Spellman walk, a Morillo fly ball RBI double to right and a Garcia 2 RBI ground ball single to left making the score 10-1. DJ Flug was outstanding pitching into the sixth, allowing no earned runs. 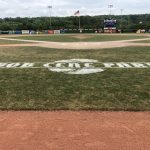 Troy managed to close it to 10-6, but it was too little, too late as Kristian Castro got the final outs to move the Nine along to the Semi-Finals on Sunday. The Semi-Final game pitted the Nine against the first team they played in the tournament, College Connect. Both teams matched zeroes through the first five frames. Joe Wozny was brilliant, firing 5 innings with 2 hits, 1 walk and 5 strikeouts. Unfortunately for the Nine, Wozny tired in the 6th and after a quick fly out, Wozny allowed a walk and HBP and gave up an RBI double and after an intentional walk to their Texas Tech bound switch hitting catcher. A 2 RBI ground ball single put Connect up 3-0. In the 7th, the Nine got runners on 1st and 3rd with 2 outs but failed to push across a run. With the loss the Nine once again finished in the National Semifinals. 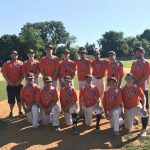 The 2018 iteration of the Rookies club claimed their second title of the summer by capturing the July 4th Mid-Summer Classic Title. Entering championship Sunday as the 3rd seed (of 6), the Rookies were unable to secure a bye and were faced with the daunting task of having to play up to three games on a hot summer’s day. 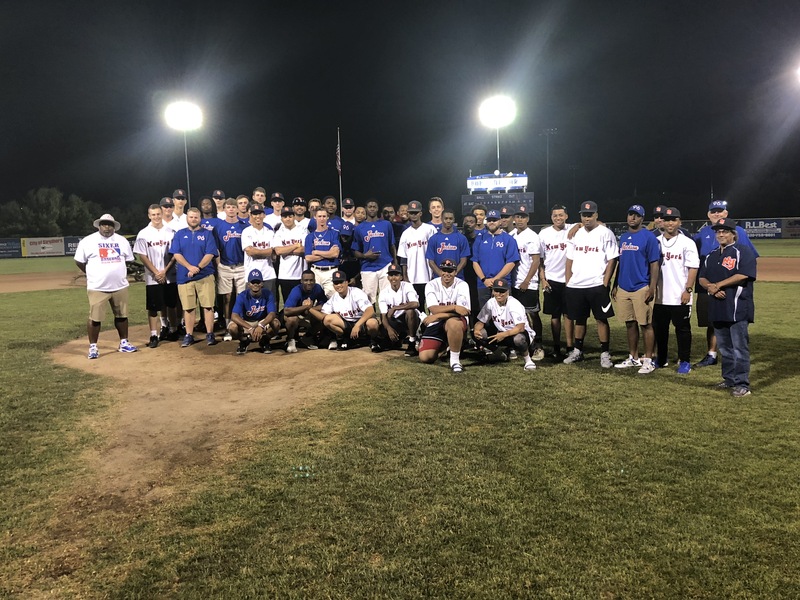 After a 9-0 quarterfinal victory behind Johan Franco, the Rookies had the opportunity to avenge their pool play loss against, fittingly, the Avengers. The second seed Avengers were playing their first game of the day coming off their bye and Micah Garrett drew the semi-final assignment on the bump for the Nine. Johan Franco opened the second inning with a leadoff double and scored ahead of a JA Spanoudakis groundout. After Jack Lobrutto reached safely in the third, Mono Boutsikakis and Micah Garrett both singled and Andrew Park doubled plating a total of two runs. In the fourth, Kieran Jermyn singled home Spanoudakis to push the lead to 4-1. With the bases loaded in the fifth and nobody out, Sebastian Granobles came on and masterfully navigated the inning, not allowing anyone to score. This was the second time in the tournament he worked through a bases loaded, no out jam. With the victory, the Rookies moved into the finals vs the CP Stars. The finals saw more of the same from the Nine as Sabin Ghale fanned eight through six scoreless frames. Andrew Park cleared the bases with a booming double and Johan Franco went 3-4 with 4 RBI as the Nine cruised to an 11-0 victory. On Championship Sunday, the Rookies outscored their playoff opposition 24-1. The New York Nine organization has opened many doors for me and has given me the fundamentals to be successful not only on the diamond, but in life. Coach Ian Millman on down, the trickle-down effect this organization has on its ball players goes far beyond what a summer ball team usually has because of the way its run day in and day out. 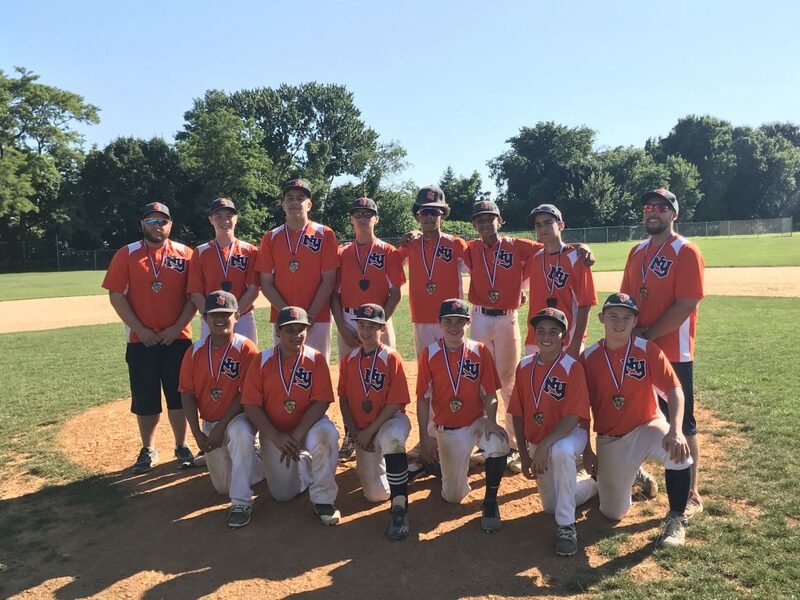 The professionalism, motivation and dedication that this organization installs into its kids breeds winners on and off the field and will leave you with many memories and lifelong friendships.